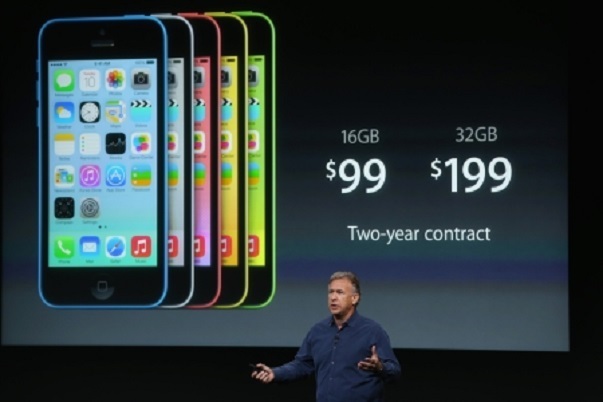 Phone 5C is launched at Apple Events, Berlin. The iPhone 5C’s body is made of Hard-coated polycarbonaten and it will come in Green, White, Blue, Pink, and Yellow colours. A reinforced steel frame is place inside the iPhone 5C’s single-piece Polycarbonate. The phone is powered by A5 processor and runs on iOS 7 which latest operating system of iPhones. The iPhone 5C hasa 4-inch Retina display. Phone supports the largest number of LTE (4G) bands in the world. The iPhone 5C has 8-megapixel primary camera.The iPhone 5C will be available in two varient 16GB and 32GB storage at a price of $99 and $199. The phone comes with Dual-band Wi-Fi and Bluetooth 4.0. Battery of the iPhone 5c is slightly larger battery than iPhone 5.